I’ve adapted the original recipe to our specific tastes and preferences, and it’s always been love at first bite. Once upon a time, I used to buy yellow rice mix from the grocery store for just such dinners, but no more. Not only is making it myself cheaper, it’s actually less work. This recipe has a wonderful ‘set it and forget it’ feel and is ready in less than thirty minutes. 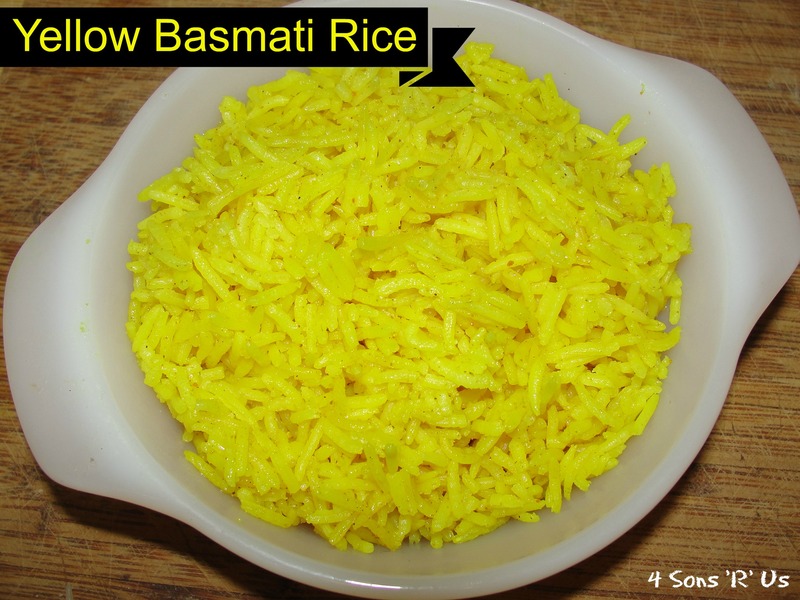 By far, this is the best yellow rice I’ve ever had, and hands down one of my favorite rice recipes. Start your own ‘Taco Tuesday’ tradition. Have a fiesta. Just don’t forget this side dish. It’s the perfect compliment to any Mexican-style entree. This authentic, Latin-style yellow rice, or Arroz Amarillo, is ready in under 30 minutes. In a dutch over, or in a large stove pot, heat the butter, turmeric, garlic, cumin, and cinnamon over medium heat until the butter has melted. Once the butter's melted, stir the spices into it and add the rice to the pot, stirring again until the rice is evenly coated and cooking over medium heat for about 2 minutes, lightly toasting the rice and spices. Pour the chicken broth into the pot and add the bay leaf. Put the pot's lid on, and bring the pot to a rolling boil, stirring occasionally to prevent sticking to the bottom. As soon as the broth reaches a full boil, reduce the heat to the lowest setting and let it simmer, covered, for about 20 minutes. Be careful not to stir too often and let the heat escape. After simmering for 20 minutes, turn the heat off, but leave the lid on and let the rice 'rest' for 10 minutes. Remove the bay leaf. Fluff the cooked rice with a fork and serve it warm. Thanks for the recipe! I made it to serve with butter chicken and it was great. My dad especially loved it. Pinning it! Thanks for sharing this. Very tasty and simple rice.